Posted in Family Values	by It's just a web site man! It’s funny how as an adult, you remember some aspects of your childhood, and yet others are just a blur. For example, most of my years in catholic school were a blur. I remember a couple of the teachers, but most of them are just distant images in my mind. I remember specific moments very clearly, but very few. There is one night of my childhood that remains clear in my brain. I was not just a baseball fan as a child, I was raving baseball lunatic. I remember more than one night sleeping with my glove and baseball. I could recite the entire Yankees lineup. I could tell you their current batting averages, who was leading the league in home runs, RBI’s, you name it. From the ages of about 7 to 15, I was the resident baseball guru in my house. I will never forget the night my dad took my older brother and I to Shea stadium to see the Yankees play the Twins. The Yankees he says? At Shea? Yeah this was the mid 70’s and they were renovating Yankee stadium, so they were playing at Shea. At some point during the trip over the Hudson River to New York, my dad revealed that we were going to meet Tony Oliva from the Minnesota Twins. Apparently my dad went to school with him in Cuba, and was going to meet him after the game. 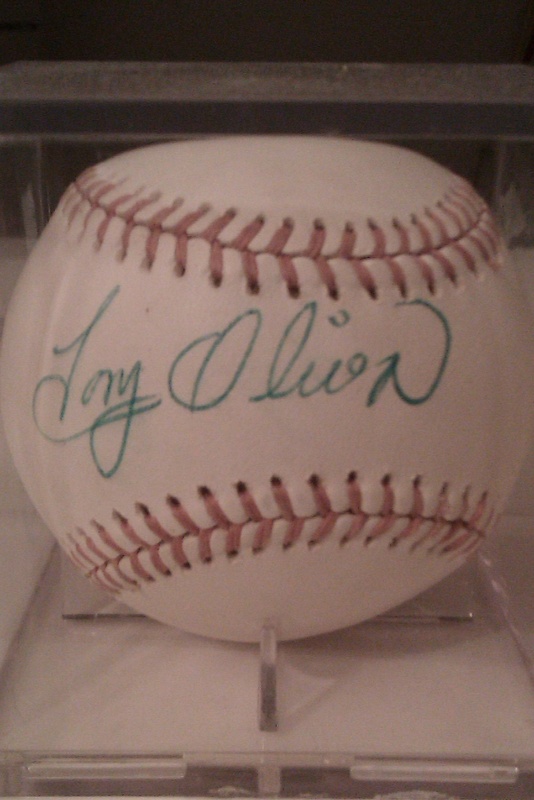 Now, you might think I knew exactly who Tony Oliva was. I didn’t. Unfortunately, Tony was in the later stages of his career and had had several injuries, so he was not playing everyday anymore. I believe this was probably his last year as a player. I didn’t really care though. I was gonna get to meet an actual big leaguer. Wow! So we got to the game late. My dad got three tickets at the ticket booth, and we went in. I still remember the smell of the stadium. You could smell hot dogs and popcorn all around you. When we got to our seats, I saw it. A real big league stadium. It was beautiful. The field was a perfect green. We were far away, but I could see the players and was pretty amazed at how big the field was. It was much bigger than the fields I played on. It was the last inning, and we only got to see the last couple of outs. I remember the last out was a grounder to the shortstop. I don’t remember the score but I know the Yankees won. So we are walking out, and as we get outside, my dad leads us to where the players come out so we can wait for Tony to meet us. Soon I see in the distance one of the Twins, but it isn’t Tony Oliva. I can’t see who it is because of all of the kids around him, asking for autographs. My dad notices the crowd, and tells me to give him the ball I brought with me. He goes over and gets in the crowd, holding the ball up for the player to sign. It seemed like it took forever for him to see my dad, but he finally took my ball and signed it. My dad hands me the ball, a huge smile on his face as I take the ball back and look at the autograph. Wow! Rod Carew – the great batting champ throughout the 70’s. 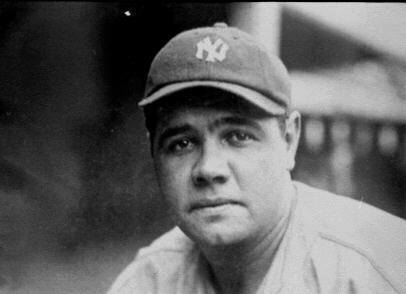 He was one of the greatest Twins ever, and I had his autograph. The moment I saw that ball in my hands is one of those snapshots of my childhood I can never erase. The smile on my dad’s face as he hands me the ball, knowing the moment he just created for his son, is imprinted in me forever. But this night wasn’t over. Out comes Tony Oliva. After he and my dad give each other a big hug, Tony says hi to us. I was always very shy, so I say nothing. But inside I am awestruck. What a night. Tony sees the ball and my dad shows Tony the autograph. Tony smiles approvingly, and signs the ball on the opposite side. I felt like the kid in the coke commercial when Mean Joe Green tossed him the sweaty t-shirt. So Tony tells my dad he is hungry and we all go out to a diner in New York. We spend the rest of the night listening to my Dad and Tony talk about old times. Both my brother and I were falling asleep, but I just couldn’t let sleep take over. I didn’t want the night to end. So I remember the rest of the night as a battle to stay awake, hearing bits and pieces of their conversations, like Tony telling my dad that Nolan Ryan was the only pitcher Rod Carew was afraid of. Priceless! Today I don’t have the ball anymore, nor do I have any pictures. All I have is my memories. Every once in awhile my brother, dad and I will talk about that night. Seems like that night was one of those snapshot memories for all three of us.